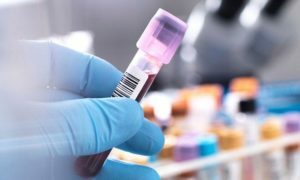 Probashbangla24 online Desk : A simple new blood test being trialled across 40 hospitals in Australia and New Zealand could spare cancer patients from having to undergo unnecessary chemotherapy. Developed by the Walter and Eliza Hall Institute of Medical Research (WEHI) in Melbourne, the test is able to determine if fragments of tumour DNA are present in a patient’s blood after they’ve had tumours surgically removed. “While chemotherapy is an essential, life-saving treatment, we don’t want patients receiving it if they don’t need it. We want to help these patients avoid serious and ongoing side-effects associated with chemotherapy,” trial lead Associate Professor Jeanne Tie, who is a clinician scientist at the Walter and Eliza Hall Institute said in a statement on Wednesday. “We would like to be able to tell some patients that they can safely avoid chemotherapy because their cancer is unlikely to recur,” Tie said. Initially focused on early stage bowel cancer patients in 2015, the success of the trial saw the test then extend to help women with ovarian cancer in 2017.